It’s been a while since I have written about composability. Previously, we covered a range of topics around composable infrastructure referenced below. 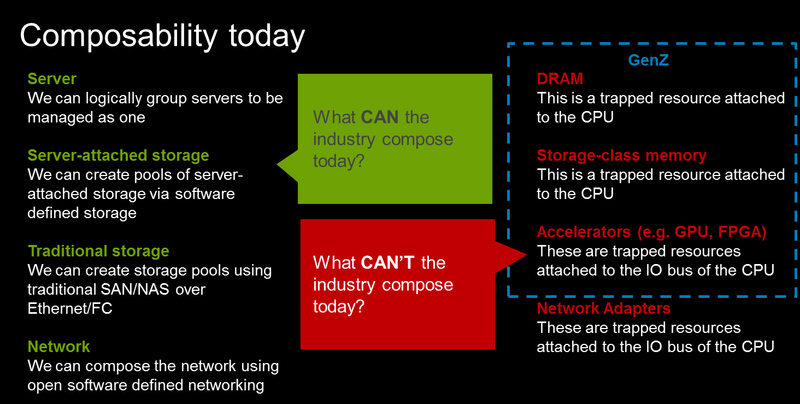 Reality Check: Is Composable Infrastructure Ready for Prime Time? Well, the lapse in time since my last blog is because we’ve been flat out BUSY in our Dell EMC Server & Infrastructure Systems organization bringing this vision closer to reality. And, BTW, along the journey, we’ve become the No. 1 server vendor worldwide. For that, I want to thank our customers and partners – you are the ones that inspire us to create products and solutions to solve your problems. You see, true composability requires the underlying data center infrastructure to be able to be disaggregated and broken down into its constituent parts. So resources like storage class memory, accelerators (GPUs, FPGAs, ASICs…) and the network have to be available to be put together in an ad hoc manner –‘composed’ on-the-fly based on what the software applications require at the time. This is simply not possible today, mainly due to the biggest challenge being around memory-centric devices that need to be treated as first-class citizens behind the MMU and not the IOMMU in modern processors. We can group servers logically and manage them as a single resource. This is what Converged Infrastructure delivers, and Dell EMC is a leader in this space today with almost 43 percent of the market. The Dell EMC DSS 9000 also supports this kind of capability at Rack Scale, utilizing a singular platform framework for compute, storage and network resources. Similarly, we can group storage into pools either via software-defined storage solutions or traditionally in a SAN. Finally, we can manage and compose the network logically in a solution like VMware NSX or through other software-defined networking solutions. What the industry cannot do today to achieve composability, however, is free up system memory or any of the other memory centric resources (GPUs, FPGA, and Storage Class Memory) attached to the CPU inside the server. This means composability has a long way to go, as we are still bound by the restrictions of sheet metal – almost everything inside a server (with the exception of traditional disk or flash storage) is a trapped resource. None of the above is new. So what has changed? Well, while we are still waiting for true composability, there have been some interesting advances in the industry that make me believe this utopia is not far off. It helps that we are not just in the “hope and pray” mode for this utopia but are actually working in the industry to make it happen. In February of this year, the Gen-Z Consortium announced the 1.0 core specification for the Gen-Z Interconnect. This is a big deal because now we have an industry standard that can lead the way towards freeing up those trapped resources. Gen-Z delivers an interconnect to provide high-speed low latency access to data and devices outside of the bounds of the CPU. (Full Disclosure: Dell EMC is not just an active member of the Gen-Z Consortium but President of the group). This is an important milestone because now silicon providers and other developers can begin to build this specification into their solutions, which will in turn enable OEMs like Dell EMC and others to build solutions that take advantage of this interconnect. Once achieved, the hardware becomes free of the restrictions of sheet metal, and we can free up those trapped resources. This is especially important because I believe that the need for a solution like this is rapidly overcoming the ‘hype’ around the discussion of composability. The problem we are trying to solve with a solution like this is Digital Transformation. The reality is Digital Transformation is disruptive. As a matter of fact, CEOs this year are actually pursuing disruption in their industry sectors, rather than waiting for their competitors to do it. We are definitely in the disrupt or be disrupted era. As a result, IT leaders are being faced with an accelerating pace of change and the need to find new ways to accommodate and take advantage of new technology. This Digital Transformation is driving rapid adoption of many new technologies to meet business needs in new ways – hence technologies like Storage Class Memory, FGPAs, and GPUs are finding their way into Server infrastructure today. Which is why a modern modular infrastructure is critical today as we continue our journey to true composable infrastructure. 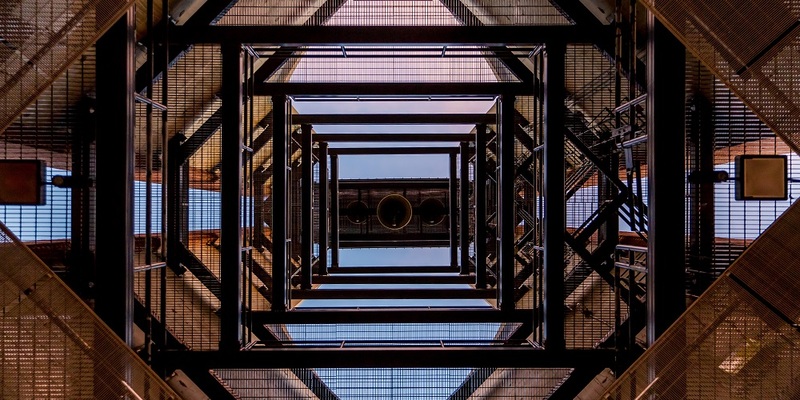 Many vendors have advocated a “composable solution” but given that key memory centric resources are still trapped inside the server, they can only deliver a partial solution. This is why we believe true composability is kinetic. Kinetic infrastructure is a term we are introducing that defines true composability. It brings the benefits of a modular design but extends the flexibility of configuration down to the individual storage device and, in the future, all the way to memory centric devices (DRAM, storage class memory, GPUs, FPGAs…). A kinetic infrastructure enables the ability to assign the right resources for the right workload and to change dynamically as business needs change. A kinetic infrastructure releases the potential of your organization. Potential energy does nothing for the business. A kinetic infrastructure puts capital investment back in motion to deliver improved productivity and better ROI. For those attending Dell Technologies World, you can learn more in the “Discover How to Increase Data Center Infrastructure Agility with Gen-Z and Modula Server Platforms” breakout session. Bill Dawkins, Ph.D. – Dell Fellow and Kurtis Bowman – Director of Server Technologies from the Server & Infrastructure Systems CTO Office will talk about this future – it’s a journey but I do think we can see the light at the end of tunnel. We’ll also give you a sneak peek into kinetic infrastructure and how it will apply to some of our upcoming products. Please let me know what you think and I hope to see you at Dell Technologies World. You can follow Dell EMC Servers at @dellemcservers, or follow me on Twitter or LinkedIn to learn more.